The state of Idaho is participating in the K12 OER Collaborative. The K-12 OER Collaborative is an initiative led by a group of 11 states with a goal of creating comprehensive, high quality, open educational resources (OER) supporting Mathematics and English Language Arts aligned with state standards. These resources will offer additional choice to local education agencies, significantly reduce expenditures for instructional materials, and provide much greater flexibility with quality educational content. States can adapt these materials to meet their particular needs using their own channels of review and development. For more information on the K-12 OER Collaborative, visit their website at k12oercollaborative.org. Idaho is also working with teachers from across the state to create openly licensed materials through the Doceo Center at the University of Idaho. Established in 2013 with a generous grant from the J.A. and Kathryn Albertson Foundation, the Doceo Center for Innovation + Learning leads teaching innovation and technology integration initiatives at the University of Idaho and in Idaho's K12 schools. For more information on the Doceo Center, visit their website at www.doceocenter.org. OER materials are evaluated using existing curricular material protocols and procedures. Two independent reviews followed by an onsite face to face consensus building meeting, which is followed by Board of Education approval of materials for a 6-year period. To learn more about how the state of Idaho evaluates and vetts OER materials, visit the State Board of Education website. What is the Doceo Center? 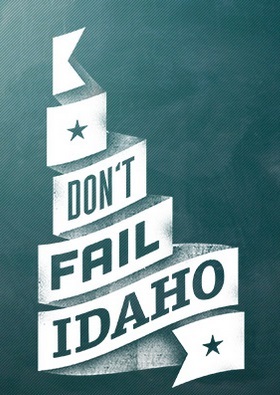 Don't Fail Idaho is a statewide public awareness campaign to inspire an informed and productive conversation about education. Learn more at dontfailidaho.org. Doceo Center Open Courses - Doceo Center courses are open to public exploration and participation. Credit for courses is available through registration at the University of Idaho.